The debate over bonuses has raged for decades. Do bonuses improve performance or not? Dr. Deming emphatically argued against them, and work like Alfie Kohn’s has backed him up. However, other research has demonstrated that productivity improves when people get extra pay for working faster or better. Is there an answer? It would be nice to have a scientific explanation of why the effectiveness of bonuses is so mixed. New brain research suggests that bonuses can make some people more productive, but actually make other people’s performance worse, and the difference seems to be related to the neurotransmitter dopamine. Recently published work by Esther Aarts of the Donders Institute in Nijmegen has demonstrated such a relationship. As you would expect, levels of dopamine, which is believed to be related to pleasure and reward, vary from one person to the next. In her experiments, Aarts first measured dopamine levels in test subjects using a PET scanner. 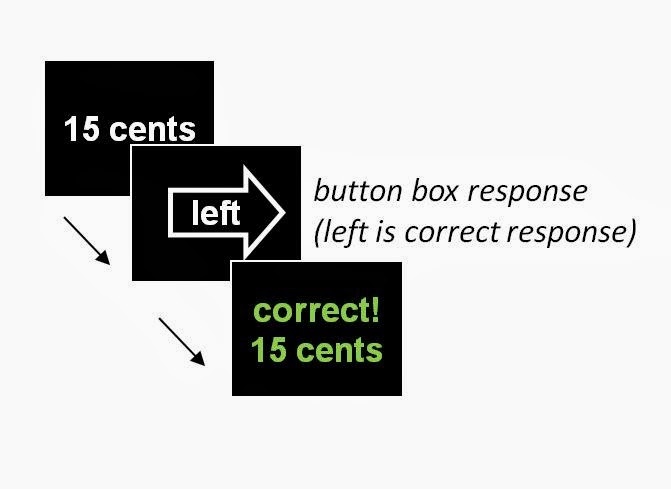 Then, asked to perform a difficult cognitive task, some subjects were offered a bonus of 15 cents for a right answer. The others were offered 1 cent. You might guess that offering a reward that elevated dopamine levels would make people want to do a better job. In this study, people with lower dopamine levels did perform better work when they were getting the higher reward. In contrast, subjects with high levels of dopamine in the high pay group actually performed worse than those getting lower rewards. What’s going on here? Does this help us know how to motivate people to work harder to implement lean? Unfortunately not. There’s no easy or ethical way to measure an employee’s brain dopamine level. If you could, dividing people into groups for more pay or less based on a chemical test would not stand up to a legal challenge. And basing compensation on a single study with an interesting explanation isn’t very scientific. Aarts also pointed out that rewards might work differently for simple tasks than the tasks in the study that required concentration and focus. In a lean system, all employees think about the work they are doing and continually come up with ways to improve it -- all work requires concentration and focus. Even if it’s not useful in making real world decisions about compensation systems, the research does remind us that people are different. Trying to find a silver bullet or a one-size-fits-all management policy is overly simplistic. There’s no substitute for getting to know employees, and if you offer incentives, you want to choose those that allow for differences in motivation. Could that be the reason why team incentives often work better than individual ones? Perhaps high-dopamine team members like the reward and elevate performance enough that low-dopamine members don’t pull average performance down. But that’s the opposite of stability, which is one of the keys to really making lean work. The reward-for-right-answer incentive is going to drive a different behavior than a single big bonus on the table at the end of the year. In the first case, the small, frequent rewards are going to enhance motivation to continue. In the later case, we operate on the assumption that the Big Bonus is ours unless we lose it. Loss aversion drives conservative behavior. So.. if we want the status-quo to continue, big bonuses are probably a good way to get there. On the other hand, if we need a creative solution, I'm more skeptical based, in part, on the summary of research put forth by Dan Pink. Thanks for your comment, Mark. So much is being learned now about the brain now - it is fascinating to follow. I think we should take a look at Daniel Kahneman's books and see what his psychosocial/economic work is revealing then think about how it applies - I will have to go back and re-read it. That might be in the motivation to gain being less than the fear of losing something of value. I'd like to keep this conversation going!